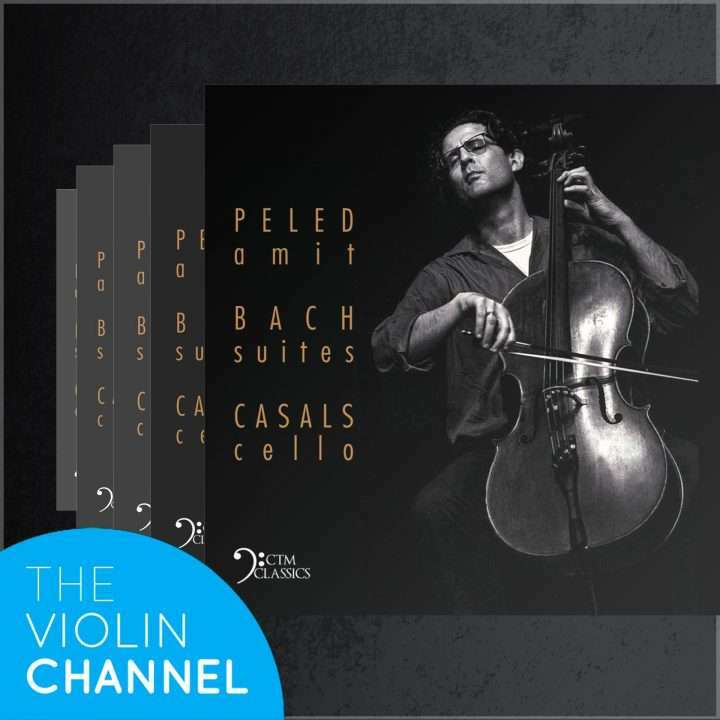 To help celebrate the international release of Israeli-American cellist Amit Peled‘s new album: Bach Suites : Casals Cello, The Violin Channel is this week giving away 5 personally-autographed fresh-off-the-press CD copies. The disc features Bach’s Solo Cello Suites No. 1 in G Major, No. 2 in D Minor and No. 3 in C Major – all recorded on the 1733 Goffriller cello, previously owned and performed on by luminary cellist, Pablo Casals. “I grew up admiring the legendary Casals recording of the Suites and I wanted to pay my humble homage to the Maestro, his cello, and to those monumental Bach pieces using the same cello that Casals played for his 1936/7 recording …” Amit has told The Violin Channel. “The Casals Goffriller cello is a timeless creation … while we are just passengers enjoying it while we can and passing it on to the next driver,” the Peabody Institute faculty member has said. Entries Close: Monday 11th March 2019. Closing date for entry will be 11.59pm 11th March 2019 (New York Time). After this date no further entries to the competition will be permitted. Previous articleViolinist Filip Pogady’s Debut Album: ‘Tchaikovsky’ CD Winners Announced!